From tasty street food in Hanoi to riding a motorcycle on curly mountain passes of Sapa, there’re tons of things for you in this beautiful Southeast Asian country. These are 5 choses à faire au Vietnam we suggest you should not miss. Coffee was brought to Vietnam by French colonialists. Cependant, over hundreds of years, Vietnamese have changed the way of making coffee so that it becomes more suitable for the local taste. 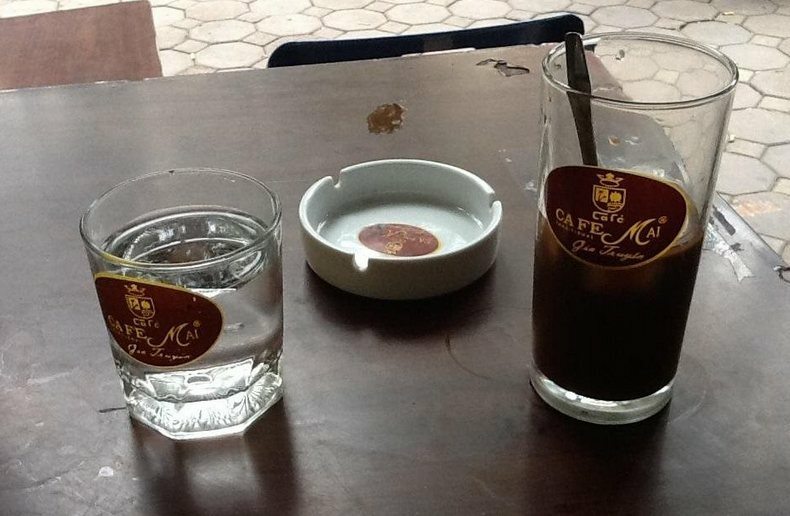 Rich black coffee mixed with condensed milk to make a typical cup of Vietnamese coffee. Outre, you may find some unique creativity that you could never find outside Vietnam. Ever thought of adding yogurt, fruit, even eggs to your coffee? The Vietnamese have already done all of that. Sapa is one of the most tourist-friendly towns in the northern mountainous region of Vietnam. Sapa is perfect for outdoor activities and exploring the unfamiliar part of Vietnam. Most popular things to do here are hiking or motorcycling throughout alluring mountainous terrain, and visit some unique and fascinating hill tribe villages. You’ll find yourself overwhelmed in front of the endless step terraces spread out over the lush green valleys. Magnificent scenes, incredibly friendly locals, colorful local markets should be on the destination list of every traveler. 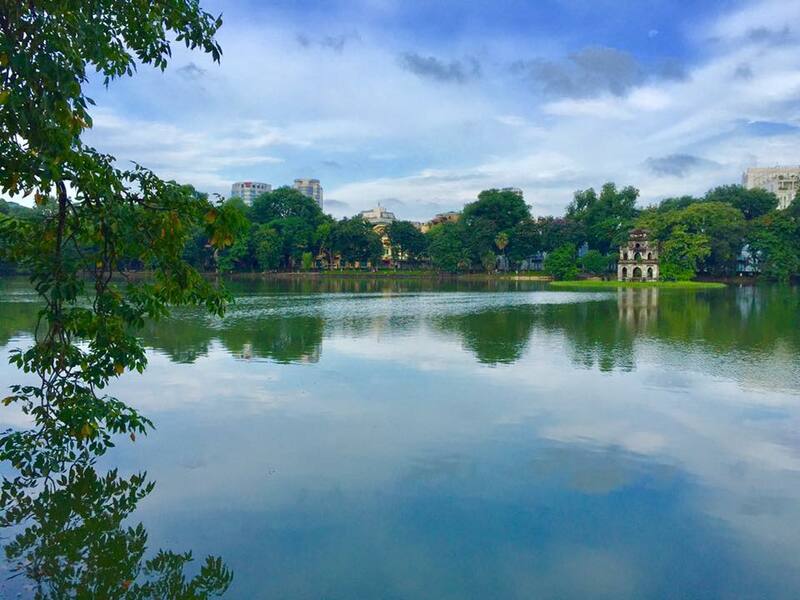 Hoan Kiem Lake of Guom Lake is a rare calming space right in the heart of Hanoi. The name means “return sword” based on the legend of a king who returned a miraculous sword to the sacred turtle here. Peaceful and quiet, the lake surrounds Ngoc Son Temple, a pagoda sitting in the center of the lake on a small island. 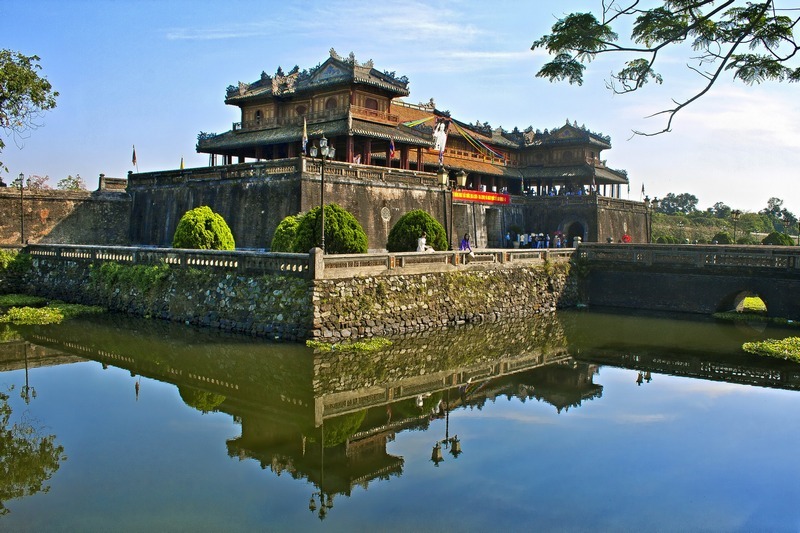 Built in commemoration of the 13th-century military leader Tran Hung Dao, the temple attracts many visitors to come and admire its architecture. The island on which the temple is built is accessible by the iconic Huc Bridge or Rising Sun Bridge which is a charming scarlet-painted wooden bridge of classical Vietnamese design. This is probably the most famous places in Hanoi city for your to relax and enjoy the view. It’s also a great place to sit back and watch the locals. Just a few steps outside Hoan Kiem Lake, the hustling and bustling Old Quarter is the best place to discover the everyday life of the Vietnamese. Scooters, bicycles, voitures, and cyclos swarm around pedestrians like a school of fish. It is inevitable that you’ll have to face the traffic like the local. You may find your most memorable street food here right on the pavement. Night market and tiny cafes in deep allies are unique things you should not miss. Halong Bay is the world renowned unique UNESCO World Heritage Site and world’s top tourist attraction. Located in Quang Ninh Province, Ha Long Bay is the most unique landscape in the world. More than 1,600 limestone mountains rising from the emerald waters of the Gulf of Tonkin, in a variety of sizes and shapes and presenting spectacular and unspoiled nature. 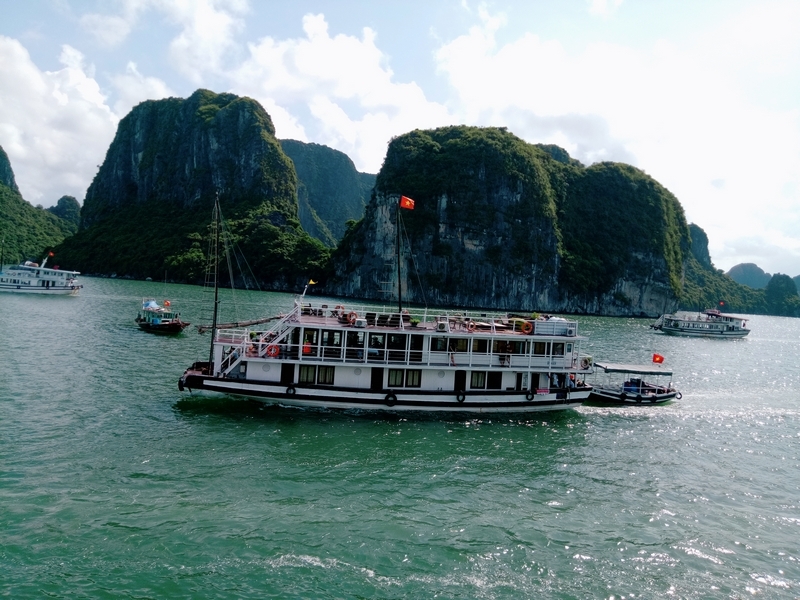 It is recommended that spending a day or night on a cruise will be the best way to get in touch with the untouched nature of the bay but also enjoy high-quality services. Known as one the greatest Unesco World Heritage sites in Vietnam, this profoundly vivid capital of the Nguyen emperors still resounds with the glories of royal Vietnam, despite the fact that a large number of its finest structures were collapsed due to warfare. This sprawling complex in Hue was where the Emperors of old would have lived and conducted all their business. Tu Duc’s tomb, constructed between 1864 et 1867, is the most popular and impressive of the royal mausoleums. Emperor Tu Duc designed it himself to use before and after his death. From the entrance, a path leads to Luu Khiem Lake. Dress-up photo opportunities and cultural performances are available here.